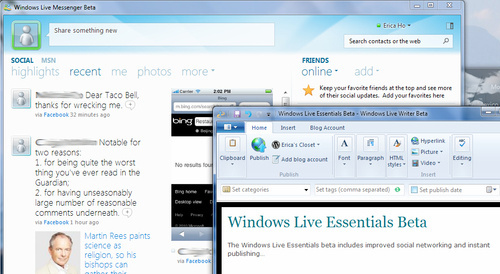 Yesterday, Microsoft dropped the new Windows Live Essentials beta, adding tons of new publishing and web service options to their suite of consumer desktop applications. Here’s a look what’s changed in the beta and how the new apps stack up. Next Next post: Apple telling reps to smooth over iPhone 4 reception complaints, not to offer free bumpers?